Sand castles seem to fall into two different categories: really freaking amazing and absolutely dreadful. Oh, you filled a bucket with sand and turned it upside down? Fabulous. And I don’t know about you, but the really large scale projects are never spotted on my lazy beach days. These World Landmarks Sand Molds finally let regular folks who aren’t down with baking in the sun all day, create something pretty cool. 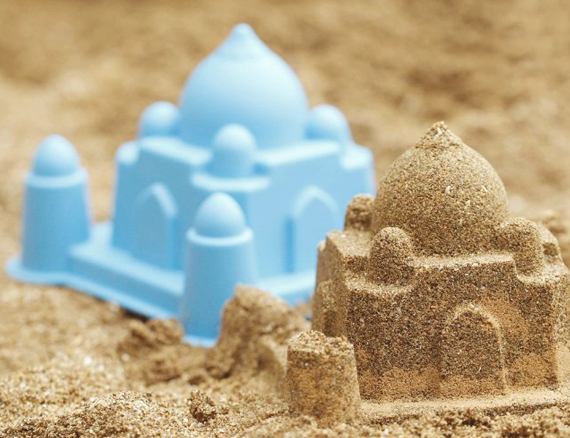 Kids and adults alike can explore design, angles and ancient architecture through some exciting sand play. 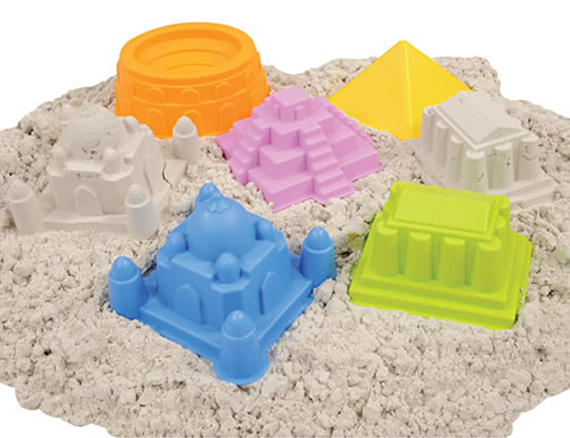 The set includes the Parthenon, Taj Mahal, Mayan Pyramid, Pyramid and Colosseum.